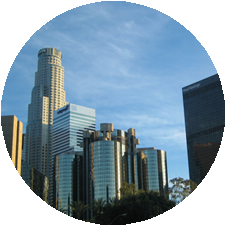 Los Angeles, CA is a part of the Logistics Plus® network. This office provides LTL and truckload brokerage, air and ocean freight forwarding, warehousing and distribution, project cargo, import/export, and global trade compliance services. Los Angeles ( L.A.) is the most populous city in California and the second-most populous in the United States. The people, institutions of knowledge, great climate and infrastructure have enabled the Los Angeles region to emerge as a leading business, trade and cultural center. Los Angeles is the largest major manufacturing center in the United States. Los Angeles is also a major producer of aerospace and aviation goods, furniture and fixtures, as well as energy and fuel products and chemicals, print material, rubber goods, electronic equipment, and glass, pottery, ceramics, and cement products. Los Angeles, CA is also home to a Logistics Plus office where we proudly serve both small and large businesses throughout the region. At Logistics Plus, we are more than just a local logistics company – we are a team of talented and caring professionals that share a passion for excellence, service, and community. Whether it is working as your 3PL or 4PL partner, our services include total logistics management, LTL and truckload transportation, rail and intermodal services, project cargo and project management, import/export services, air and ocean freight forwarding, warehousing and distribution, global trade compliance services, and logistics and technology solutions. If you’re located in Los Angeles, CA, or any other surrounding community, your friends at Logistics Plus are ready to provide you with local, domestic, and global transportation and logistics services. Additionally, we’ll show you how our people in Los Angeles put the “plus” in Logistics Plus by doing the big things properly, and the countless little things, that together ensure complete customer satisfaction and success!